Lawn weeds : Understanding lawn weeds and how to get rid of them. We are experts in weed identification, weed plant lifecycle, conditions for growth, competitive interactions and herbicide use. By understanding these factors we can form a strategy of getting lawn weeds under control. What is the weed plants lifecycle ? Is it an annual or perennial ? 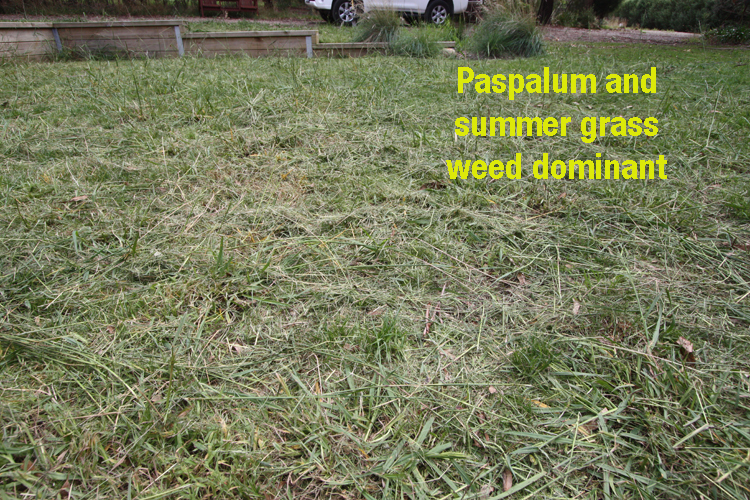 How is the weed impacting on the lawn ? When does the weed flower and set seed ? What is the likely soil weed seed bank ? Why is the weed present and why is it flourishing ? What are the competitive interactions of the weed ? What are the best measures to get the weed under control ? We use a range of selective herbicides that are only available to the professional turf industry. We have control measures for Poa annua (winter grass) and a full range of broadleaf weeds including capeweed, wireweed, flatweed, bindii, chick weed, plantain and clovers. We also have control measures for hard to kill weeds like Oxalis (soursob), marshmellow, and summer grasses such as digitaria (crab grass) and paspalum. Our herbicides are sourced from professional turf industry suppliers and applied in compliance with the manufacturers registered label.We take every precaution and crosscheck to ensure safe application in home lawn environment, including the safety of pets.